Check this exciting news: myplasticheart is not releasing just one exclusive colorway of Teresa Chiba’s adorable Inu-Harigon this weekend at New York Comic Con 2018…and they’re not releasing just two exclusive colorways either. 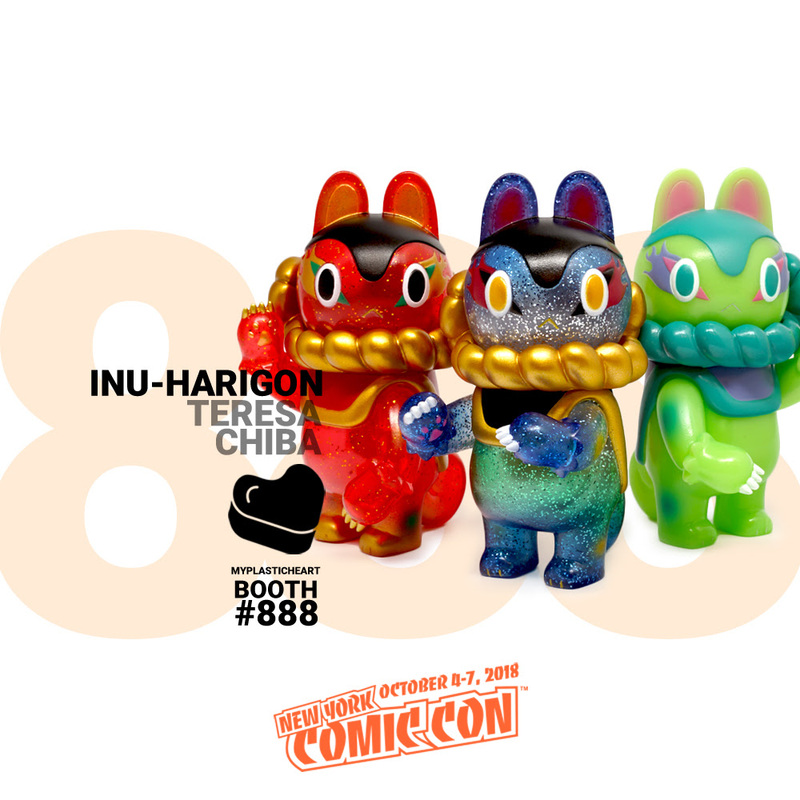 That’s because MPH is releasing three limited edition colorways of Chiba’s beautiful Inu-Harigon character!!! Check out the Otsukimi Inu-Harigon, the Chinese Spring Festival Inu-Harigon and the Muscat Inu-Harigon. All three versions of this awesome sofubi figure can be purchased at the myplasticheart NYCC booth #888 for $65-70 each.